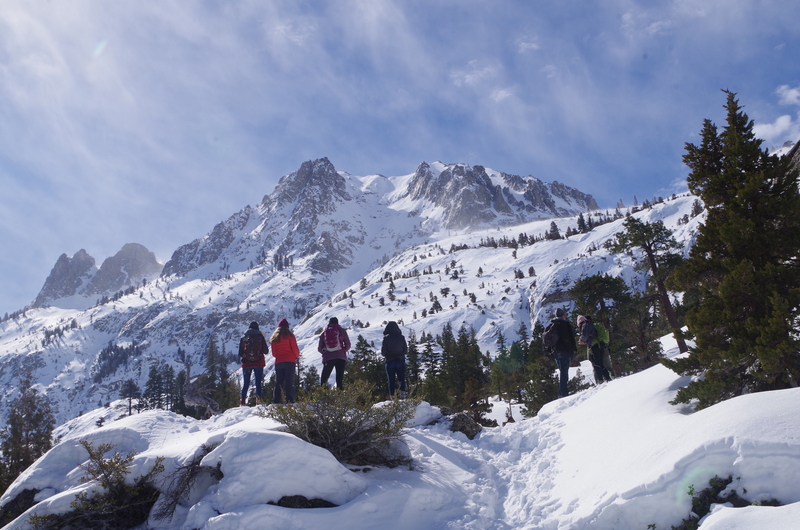 This past weekend I went to Owens Valley with our Water Resource Management (ESRM 463) class led by Dr. O’Hirok. When I was an undergrad at CI, I wasn’t fortunate enough to take this class…and oh boy did I miss out! This trip was thought provoking, eye-opening, and fun! As we traveled into the Owens Valley, your first stop is a Los Angeles Department of Water and Power (LADWP) site as you get a walking tour through the now dry lake bed of Owens Lake. During this lecture you learn about how LADWP is mitigating the dry lake bed by adding a complex pumping system to minimize dust and increase bird populations (which is a mandate from the State of California). These measures are necessary because LADWP pumped all of the water of Owens Lake into Los Angeles. This was a great start to the trip because it raised a lot of questions about best mitigation practices of Owens Lake and the increasing population in Los Angeles. Although this lecture was personally stimulating, watching the students listen intently was more eye opening for me. They asked critical questions about the aqueducts, why this is a state-funded project, and what the next steps are for the City of Los Angeles, but more importantly, Owens Valley. Ultimately this makes me feel hopeful for our future in water resource management because we have students who want to have an impact. Throughout this trip students are exposed to different levels of water resource management. From top-down at LADWP, to SoCal Edison’s Hydroelectric plant, to the Paiute Indians who are fighting for their natural rights. 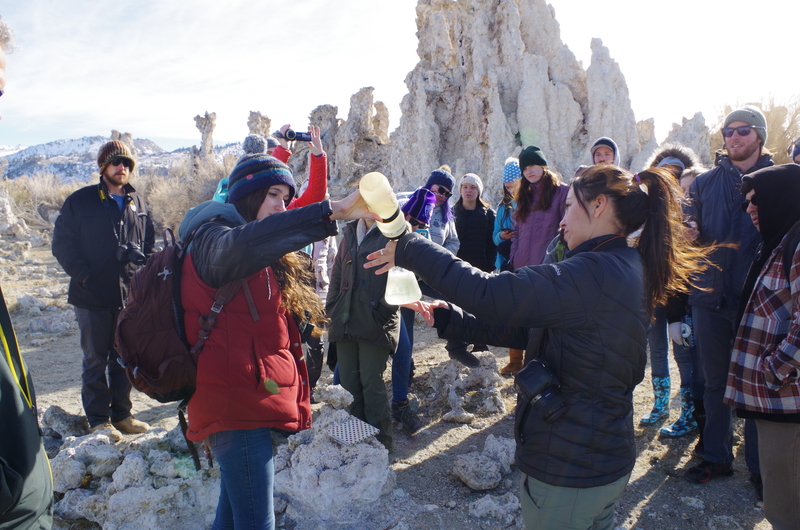 This exposure to students, I believe, gave them the whole complicated picture of Owens Valley. They made the critical connections of how Owens Valley is a great case study of the consequences of large-scale water diversions and how the oncoming threat of climate change will impact water rights between state lines and municipalities. The real question for me is what can we do next? 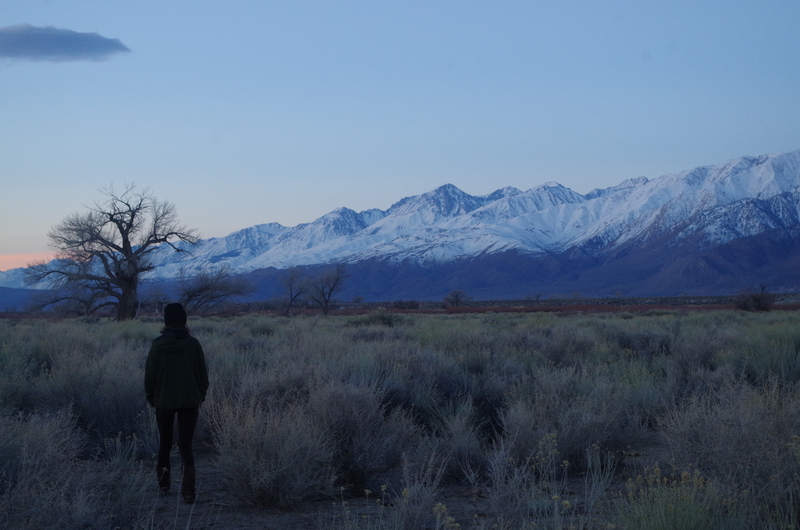 I hope students take this case study of Owens Valley and apply it to their careers or at the very least take more courses related to this topic. Overall I hope I can go again next year! Coming soon is a video titled ‘What not to do’ and a ‘trailer’ of the fieldtrip! 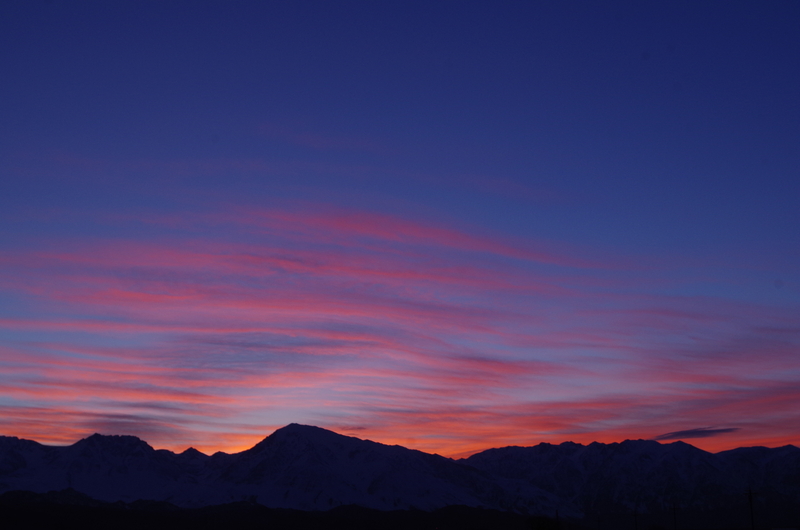 White Mountains Research station sunset! This entry was posted in Education and tagged #esrm, #ESRMzone, #waterresourcemanagement. Bookmark the permalink.